Are you experiencing low energy, aches and pains, or difficulty concentrating? Are you feeling old or is your health starting to fray around the edges? 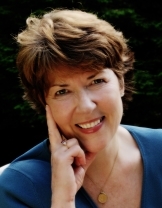 Do you have irritating menopause symptoms? Are you overweight despite dieting and exercise? Are you taking too many medications with unwanted side effects? If you are experiencing any or all of these issues I can help. I work with clients like you who understand that the one size fits all approach to good health just doesn’t work. No two individuals are alike. I take the time to evaluate your lifestyle and preferences so we can take them into consideration when planning the best program for you. There is so much confusing information about how and what to eat. Some say follow Paleo; others say Vegan; some still say only calories count. I say, let’s find what its right for YOU. And with our busy crazy lifestyles, it sometimes feels impossible to make the changes that will create better health. Food is medicine. And you have more control over your health and aging than you think. My programs are designed to be practical, customized and easy to understand for you and your family. 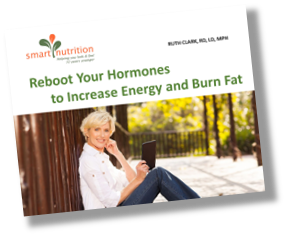 Get a FREE copy of Reboot Your Hormones to Increase Energy and Burn Fat. Why would you need a nutritionist?